So after an Algarvian autumn in Sagres, it is back to the grey skies, rain, wind and what have been near freezing temperatures overlooking D reservoir at Tophill Low NR, East Yorkshire. 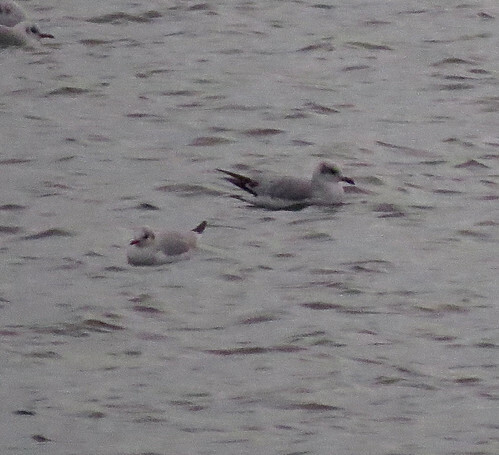 Predictably the roosting laridae held a first-calendar year Yellow-legged Gull Larus michahellis on November 8th, while a first-winter Mediterranean Gull Ichthyaetus melanocephalus above appeared in the ‘near-darkness’ on both the 9th and 10th November. Slim pickings so far, but with gull records at a premium on site since early September, this represents a change for the better! 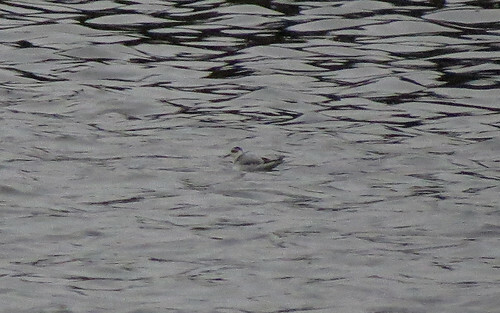 A Grey Phalarope Phalaropus fulicarius, which appeared on the morning of the 8th was something of a surprise. 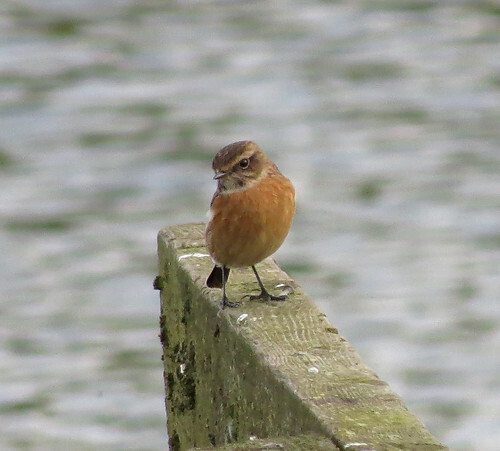 The bird remained until the evening of the 13th feeding on flies alongside the reservoir walls and often proved elusive at times – and normally distant for photographs. 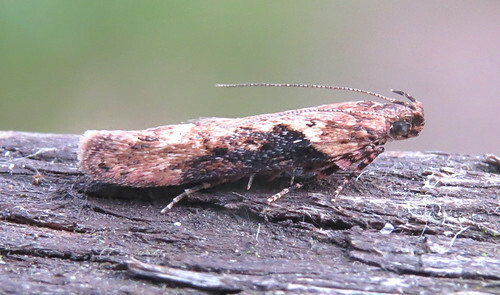 Tophill’s second in recent times following one in November 2014, but the species remains something of a site rarity overall. The evening roosts have featured a few interesting species including a Pintail Anas acuta on the 8th, with three on the 12th, two Goosander Mergus merganser on the 11th and 15th and seven Eurasian White-fronted Geese Anser albifrons albifrons on the 13th. Away from the water-bodies, numerous winter migrant Fieldfare Turdus pilaris and Redwing T. iliacus have been seen in roving flocks around the site, and small flocks of Siskin Spinus spinus are more often heard than seen. 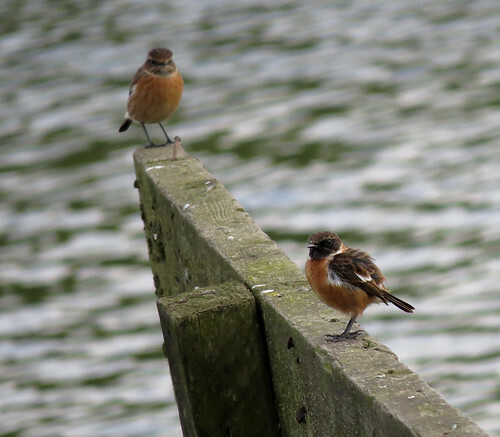 At least three Stonechat Saxicola rubicola were present at the southern end of the site on the 15th, showing well at times. However, there was no sign of a wintering flock of Buntings Emberiza spp despite spending time in the area. 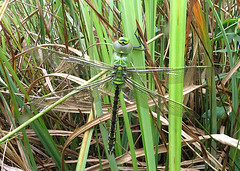 For the latest news from Tophill Low, check out the blog and twitter feed here. 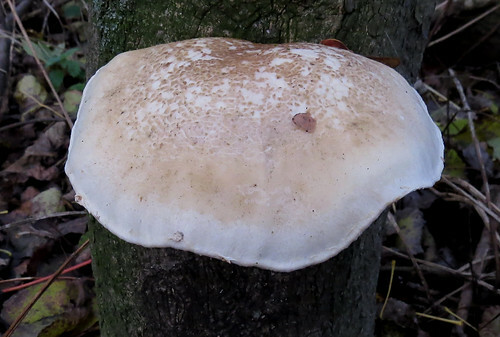 The best part of the fungi season may have passed, but there is still a wide diversity of species on offer to see including Veiled Oyster Pleurotus dryinus and Bearded Milkcap Lactarius pubescens – the latter recently a new addition to the site list. 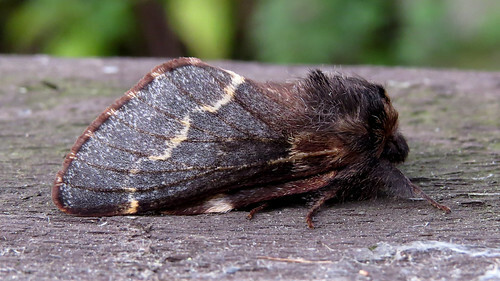 The 2016 moth trapping campaign has seen over 16,000 individual moths recorded and a total of 400+ species in a calendar year achieved once again. Despite the recent drop in temperature, light trapping continues with December Moth Poecilocampa populi appearing regularly in the traps. 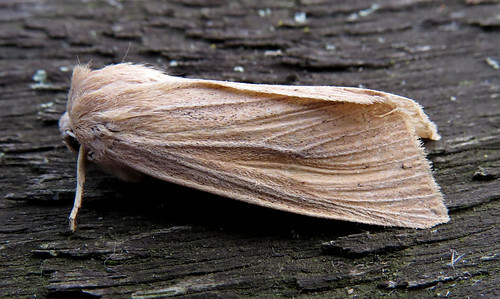 Both Feathered Thorn Colotois pennaria and Large Wainscot Rhizedra lutosa are still on the wing – probably both appearing on their latest Tophill dates ever on November 14th. 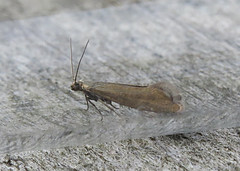 Scrobipalpa costella is still on the wing in mid-November, as are both Blastobasis lacticoella and B. adustella. 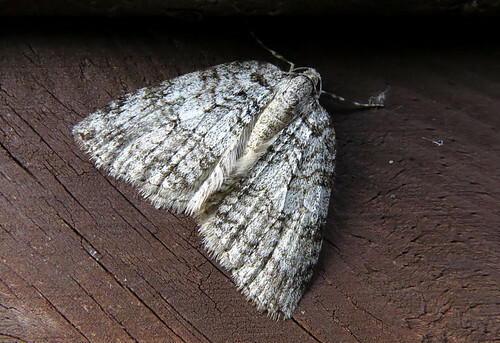 This Epirrita spp was trapped on the 14th, but sadly not captured. 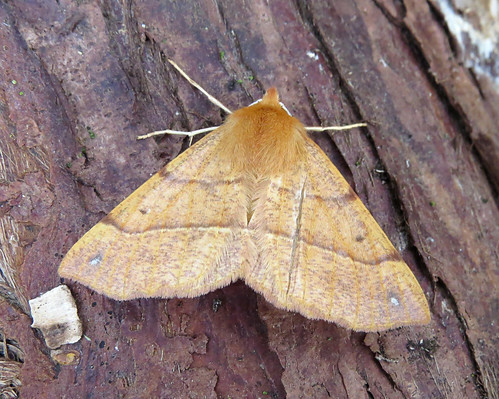 Current records suggest only November Moth E. dilutata is present on site, but this was the first attracted to light since October 28th. Meanwhile, the first Acrolepia autumnitella of the winter period was found day-flying on the 15th. A county scarcity with only 77 individuals noted up until the end of 2014 (per Yorkshire Moths), this was the 242nd adult of 2016 recorded at Tophill!